Union General Hospital (UGH) located in Farmerville, Louisiana, is a non-profit, 20-bed Critical Access Hospital. Established in 1975, the motto is, “Providing Quality Service with Compassionate Care.” The motto is proven true with the incredible work and commitment they demonstrate in addressing a major issue in their community: teenage pregnancy and sexually transmitted disease (STD). During a community health needs assessment conducted in 2012 through the support of the Rural Hospital Performance Improvement (RHPI) project, the hospital identified teen pregnancy and STDs as being a primary concern impacting the health, well-being and future of their community. Despite the belief by some that there was little that could be done to significantly impact the problem, UGH decided to take it on. In 2012 the hospital developed a team led by Claudia Wade, Program Coordinator, Sherry Banks, Board Certified Mental Health and Psychiatric Nurse and Jiame Brown, UGH Community Outreach Consultant. In fall 2013, they rolled out their program “It’s a Girl Thing: Making Proud Choices” to first group of 15 high school girls. The program included meeting with the girls 31 times in the course of a year at the hospital, high school and some of the local churches and they were able to eventually reach out to over 600 girls. The program topics include Self-Esteem, Learning to Respect Yourself and Others, Dating and Dating Violence, Your Reproductive System, Your Sexual Health, The Consequences of Teen Pregnancy, Sexually Transmitted Diseases, Pregnancies Gone Wrong, Sexual Abuse, Being Responsible, Finances, Etiquette, Nutrition, Mental Health, Drug Prevention and much more. The following year, 2014, the hospital added a scholarship award and collaborated with the Union Parish Library to add “Girls Night.” The girls have a sleep over at the library once a year and they watch a movie about girls and share with one another. UGH also recognized the need to start addressing mental health issues and the suicide risk for some of their girls. They now evaluate each girl for these issues and refer them to the appropriate services. A program addressing drug, alcohol and tobacco prevention was also added. In addition, UGH opened the opportunity for a summer job to one of the outstanding participants. Also in the second year of the program, they were approached by the middle school to offer the program to 7th and 8th graders. They received a grant and began collaborating with the school. Also that year, the program received the Charitable Services Award as a “Program of Promise”. This is a nationwide award to groups able to show change in community by creating a program that can be replicated. UGH was one of six programs out of 208 nominees to receive the honor. In this current year, the program continued to offer all the resources developed in the last two years. In addition, they had requests from local ministers to work with boys in the community. UGH wasn’t certain the program would work with this population so they went into the schools to find out. What they discovered is that boys wanted men to work with them, not women. As a result, UGH provided funding to bring an expert in an evidence based program to provide training to ten male community leaders. Those men, including pastors, provide a similar service to address the needs of the young men. In three years, UGH has touched the lives of over 3000 young women with the program. Over 200 girls are coming to the meetings at the hospital and schools. The program is showing results to keep young women in school and to make better choices for themselves. For girls that had one year of participation in the program, 24 graduated high school and there were three pregnancies; for those who participated two years, 38 graduated high school and two become pregnant; and for those who participated three years, 43 graduated high school and just two girls became pregnant. Q: Claudia, how did you all begin creating "It's a Girl Thing: Making Proud Choices?" A: "Once we decided to address this issue, I met with Evalyn Ormond, CEO, who gave us her full support. We called a few people in our community who had experience with youth and thereby started planning." UGH explored existing programs but knew they would need something for our own community that was tailored to the specific cultural and religious beliefs. What works in one community might not work in another. Q: What issues were considered that are specific to your community? A: UGH intentionally included a planning committee that mirrored the population they were addressing. For example, the original committee included three women: one Hispanic, one African American, and one Caucasian. These were all women who were already involved with their community and had relationships with organizations that would be key to the program's success as well as key to reaching the girls. Q: How did you reach out to your community? A: "Originally, lots and lots of phone calls" Over a period of time we created our own marketing plan and promotion strategy. We used a variety of methods to reach others including Facebook, Instagram, online website, posters in the schools and brochures. Now people call us and volunteer to be speakers for the program! Volunteers include not only successful women in the community, but also hospital staff. UGH employees volunteer their time to fold brochures, put together packets, provide snacks, whatever is needed. Q: Claudia, a lot of communities attempt to address teen pregnancy and STDs. Why do you think your program has been so successful? A: "Passion." We want to have a better community and want to see our youth succeed. They are our future." This change was driven by the desire to do "the right thing for the right reason." While sparked by the CHNA, the program was a labor of love and involved people who really cared about this issue and not because it was and not only because it was an IRS requirement. That is when a program truly takes root. 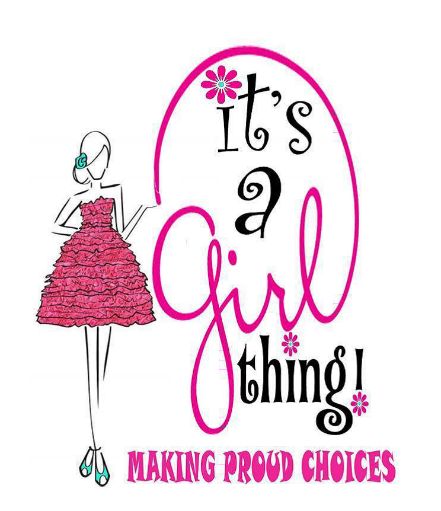 For more information about "It's a Girl Thing: Making Proud Choices", contact Claudia Wade or 318-368-7075.